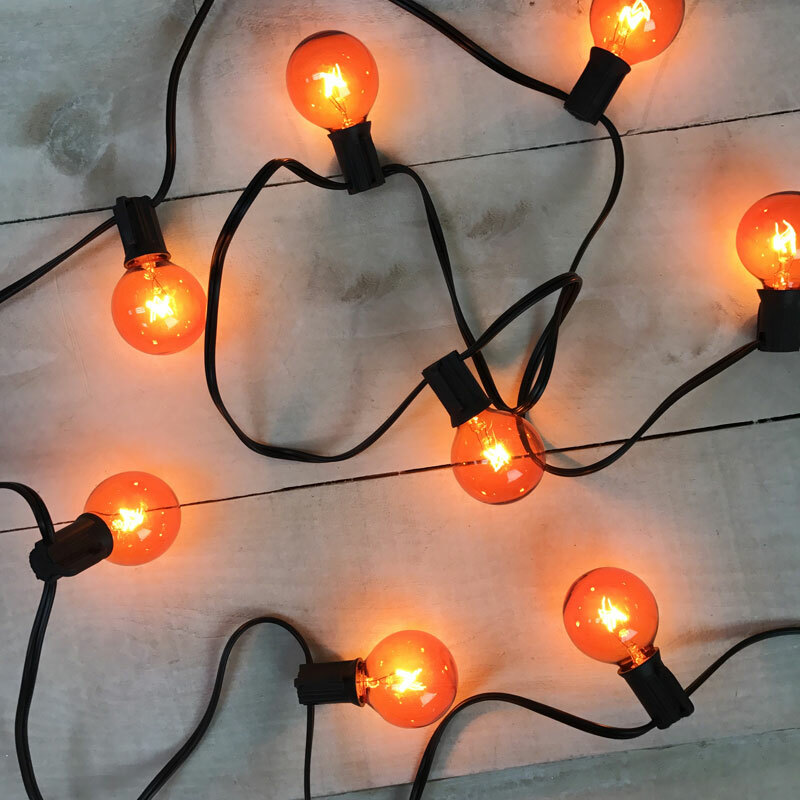 Halloween Globe String Lights comes on a 9 foot black cord with 10 orange G40 globe lights. 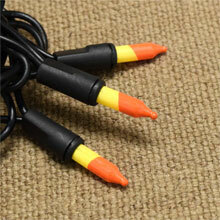 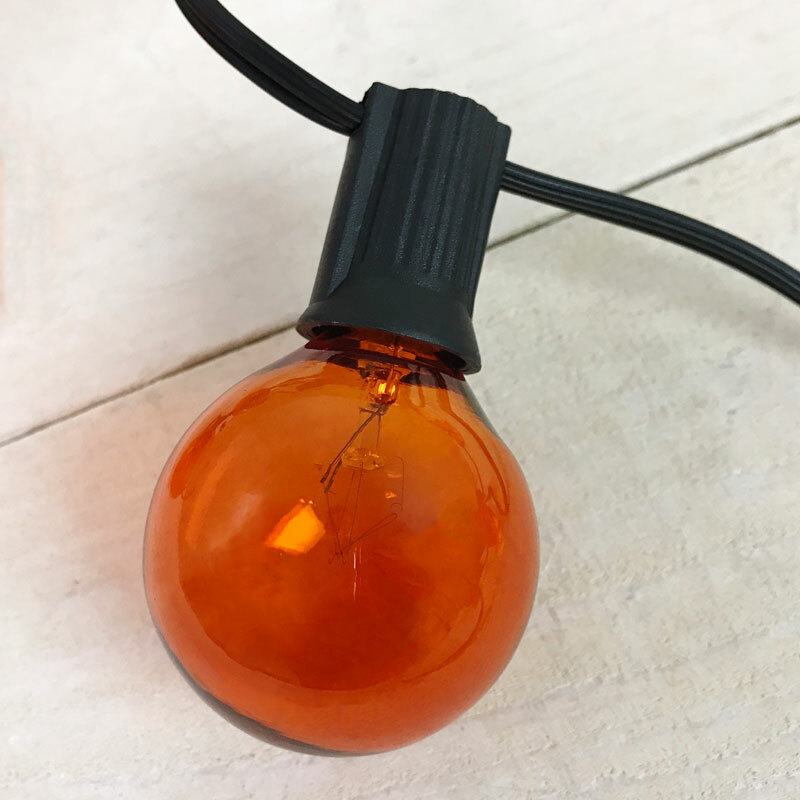 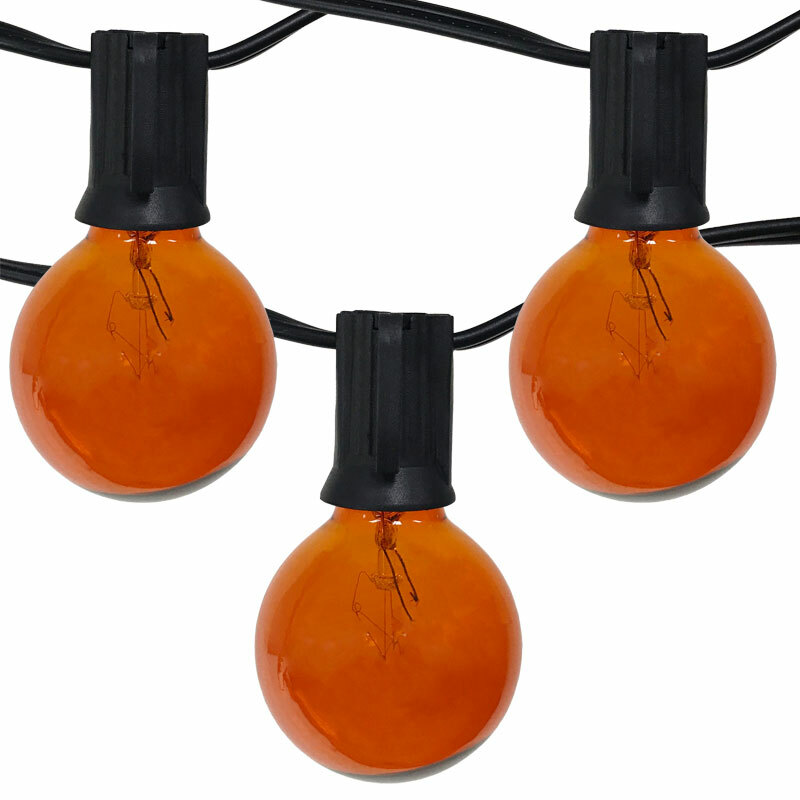 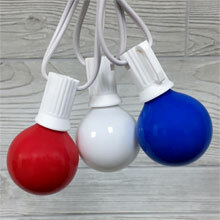 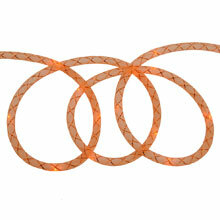 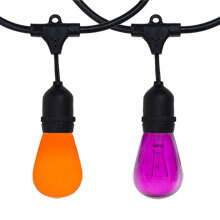 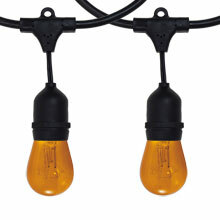 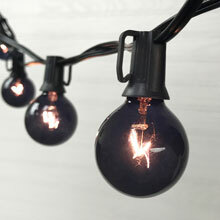 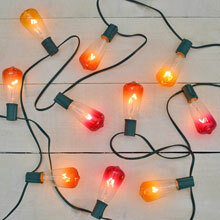 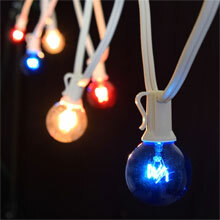 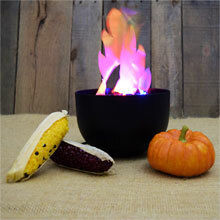 These orange globe string lights are great for indoor or outdoor Halloween or fall lights. 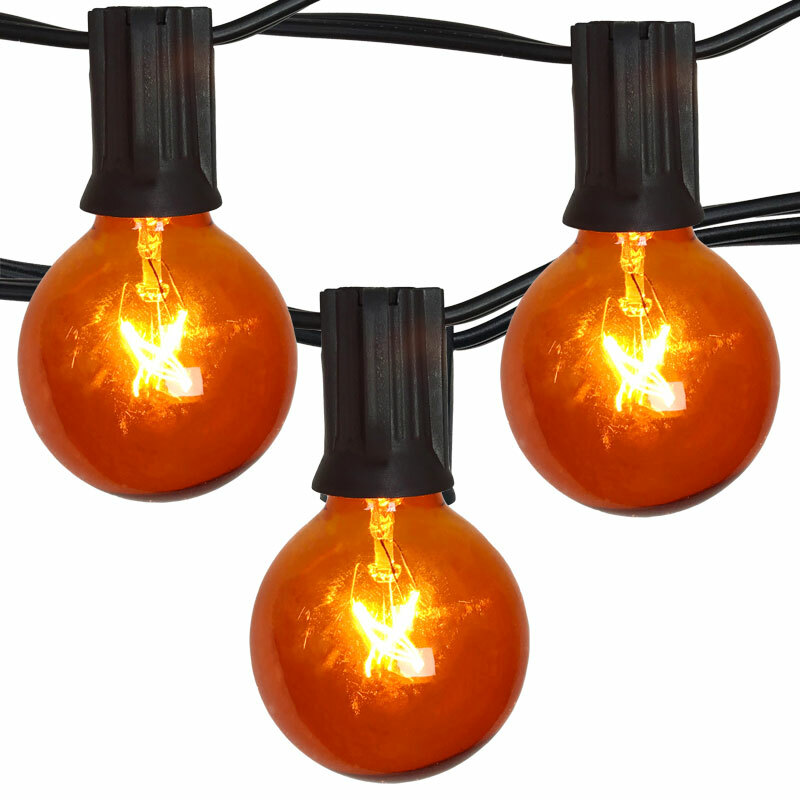 Hang these G40 shaped orange globe lights on your patio, on your deck, or in your windows for the fall season.